In this exclusive audio montage Emmy Winner Charlotte Robinson, host of OUTTAKE VOICES™, talks with celebrities on the Red Carpet at the 23rd GLAAD MEDIA Awards in NYC. John Stamos and Broadway Legend Bernadette Peters presented the Vito Russo Award to the producing team of Craig Zadan and Neil Meron (Chicago, Hairspray, Smash). Craig and Neil talked with us on the Red Carpet about LGBTQ teen bullying and the new film they’re producing about Constance McMillen for LIFETIME TV. Constance McMillen was the young teenager who ignited such national controversy in 2010 when she was banned from bringing a female date to her prom in Mississippi’s Itawamba County School District. The incident brought such national attention as she appeared on network talk shows including Ellen DeGeneres and met with President Obama to tell her story. 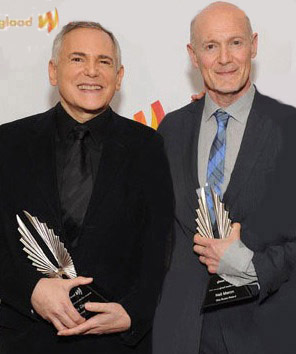 In his acceptance speech Zadan stated, "I want to thank GLAAD for selecting us to be honored, and for their extraordinary work every single day. When we did THE REAGANS movie, we had death threats for telling the truth about that President's outright refusal to acknowledge the growing AIDS crisis in America. 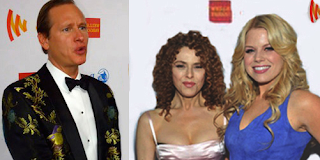 We would not have survived that ordeal, I must point out, without the help of GLAAD. They got us through the political firestorm leveled against us by the Republican National Committee. So we got to see first hand what GLAAD's capable of accomplishing when they mobilize the troops, and thank God for them." Zadan finished his acceptance by thanking his late friend and GLAAD's founder, Vito Russo, "Some people become your heroes and they don't even know it. Vito Russo was mine. And the lucky thing for me was I got to tell him while he was here”. We also talked about crucial LGBT issues facing our community with emphasis on LGBTQ teen bullying with celebrities including: fashion guru Carson Kressley, fierce gay allies Broadway stars Bernadette Peters and actress Megan Hilty, GLAAD Board of Directors co-chair Sheri Fults, GLAAD Acting President Mike Thompson, the fabulous transgender actress Laverne Cox, Robin Skye whose play SOUTHERN COMFORT won for Outstanding New York Theatre Off-Off Broadway, Zach Wahls who appeared in a GLAAD Media Award-nominated episode of The Ellen DeGeneres Show and received a standing ovation as he spoke to the crowd about the impact of his 2011 speech to the Iowa senate in which he spoke about his lesbian moms. Then we chatted with NY INK’s ROBEAR, figure skater Johnny Weir and his new husband Victor Voronov, actress Kim Wayans talked about her role playing the mother on PARIAH which won the award for Outstanding Film- Limited Release, CHOPPED host Ted Allen shared his spin on LGBT issues and we concluded with Jay Manuel sharing his advice for LGBTQ teens faced with the bully epidemic. The 23rd Annual GLAAD Media Awards were hosted by GLEE stars Naya Rivera and Corey Monteith and sponsored by Ketel One and Wells Fargo at Marriott Marquis Theater on March 24, 2012 in New York City. 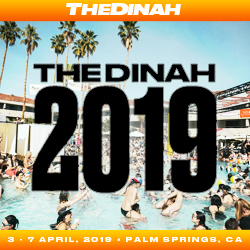 Additional awards will be presented in Los Angeles on April 21st at the Westin Bonaventure Hotel & Suites and in San Francisco on June 2nd at the San Francisco Marriott Marquis. New Gay Television Series "For & Against"